Two weeks to go until exam results! 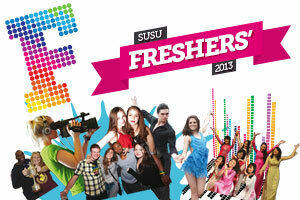 It’s an exciting time in SUSU as we get ready for Freshers’ in September. However, most exciting of all is August 15th when prospective students find out their A-Level results. With just over a month and a half until Freshers’ Week, here at SUSU and the University of Southampton we are all getting ready with a program of events, activities and induction for our new members. If you are hoping to join us this year, please remember to join out Facebook group, like our page and follow us on twitter. The groups and pages are there for you to ask questions, meet your peers and get excited about your year ahead in Southampton. Don’t miss out! Remember as well to check the University’s website after results to make sure you have completed everything you need to do before you arrive. Good luck with your results to all prospective students and we look forward to seeing everyone else returning in September!